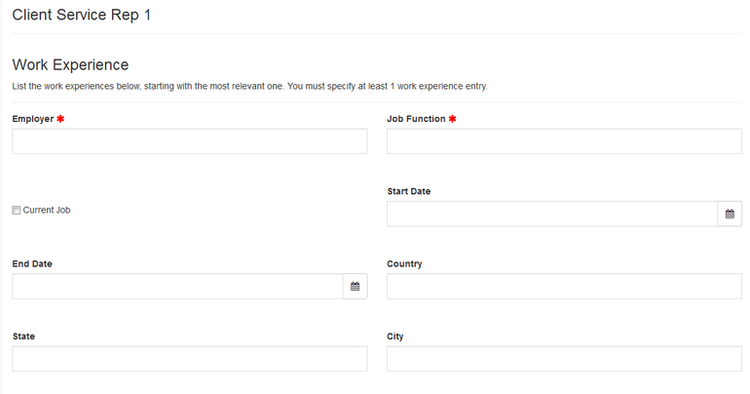 Type a job category like “retail” or a job title in the first box, then type your a location which you wish to work in, click to search for the positions. Pick an opening that you want to apply, click on it to see more details. If you are OK with most of the requirements, you may consider to apply it online. Click the blue APPLY to continue. Consent the privacy agreement to enter the Login page. 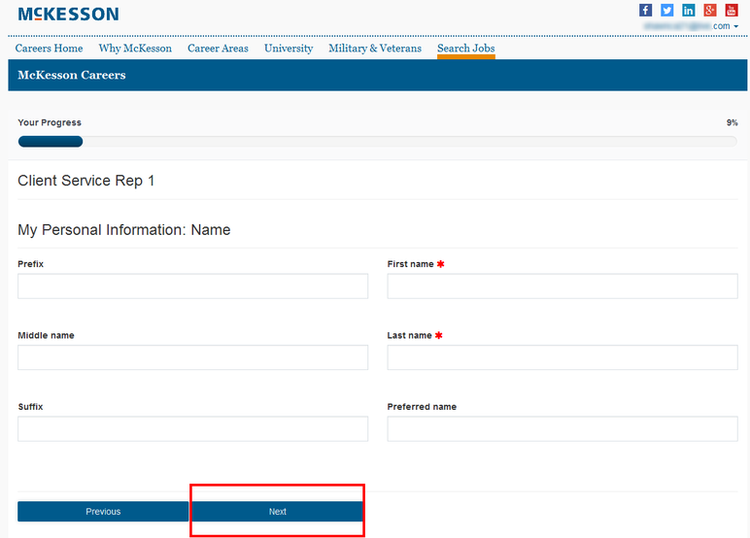 Click “create one” to build a McKesson account for yourself, this registration is mandatory, otherwise the application cannot continue. Before you enter this uploading page the site will ask you if you are willing to provide your CV. 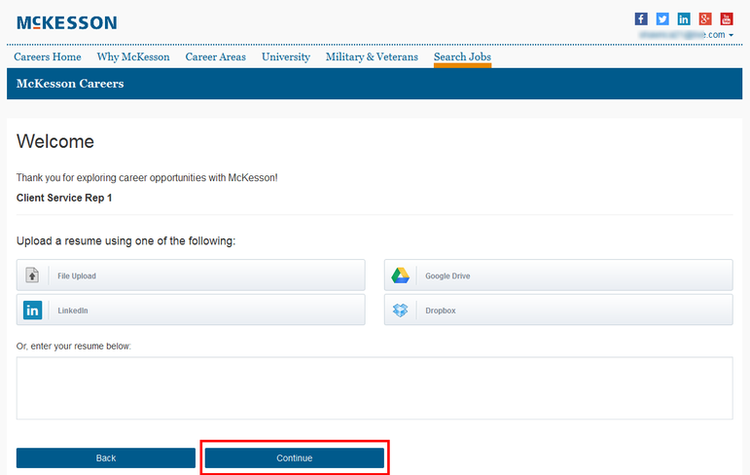 There are five ways offered to upload your resume, you can choose one to insert yours. Please provide your personal details and other contact information in order to continue with the application. These information are crucial, once you are matched with a position, that’s the only source for your recruiter to contact you. So make sure the information is correct. Tip: Fill the box with red asterisk. Here comes a few questions after the personal information form, just answer these questions according your current status. You don’t have click NEXT since the site will skip to the next question automatically. This form needs you fill your past educational experiences in it. The more detailed, the better. Tip: program equals to your major. Similar to the previous step, this form is asking for your work experience. Fill all the blanks with a red asterisk to continue. 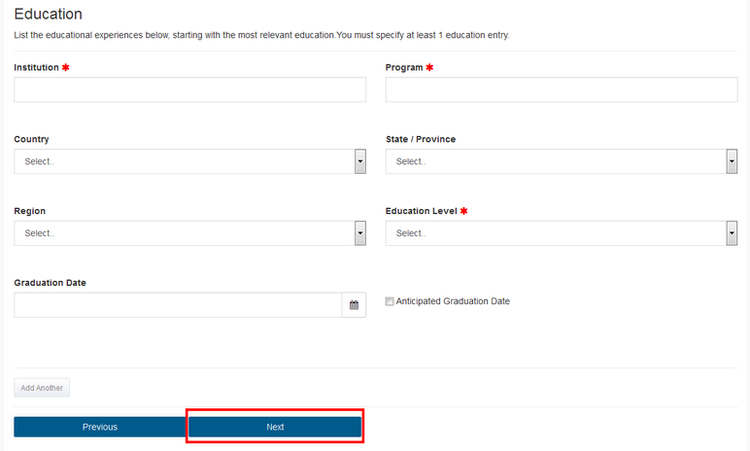 Finish your certification-add page, and you will see this questionnaire. 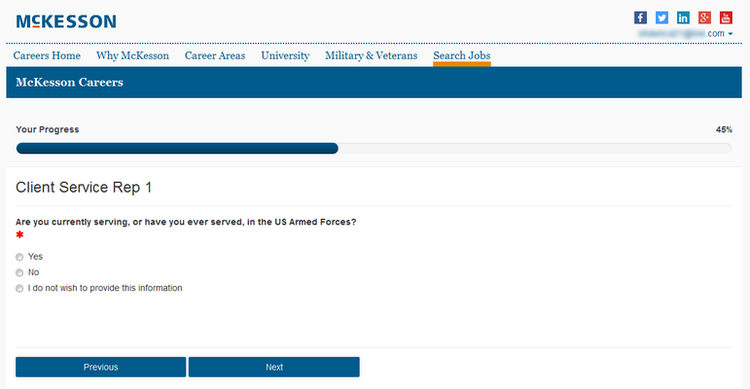 You are required to answer question about your ethnicity, race and gender. Following is a disability self identification. Sign your name and go on your application. After answering another few job related questions, congratulations you are the final step of online application in McKesson. Finish this E-signature to submit your application. Good luck and we hope you can get what you want with our help. 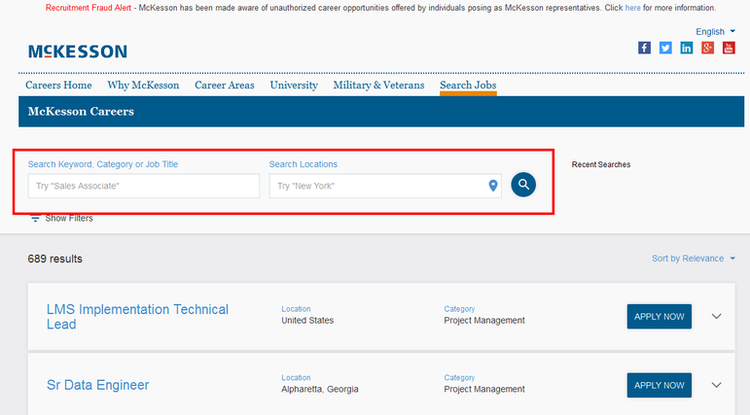 Click mckesson.com/careers to apply for McKesson jobs online.